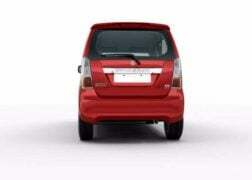 The current Maruti Wagon R has been around for 7 years now. 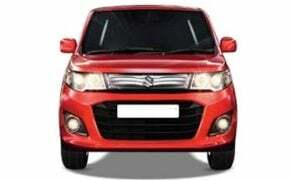 While the new generation model is still a couple of years away, Maruti is going to roll out an update soon. 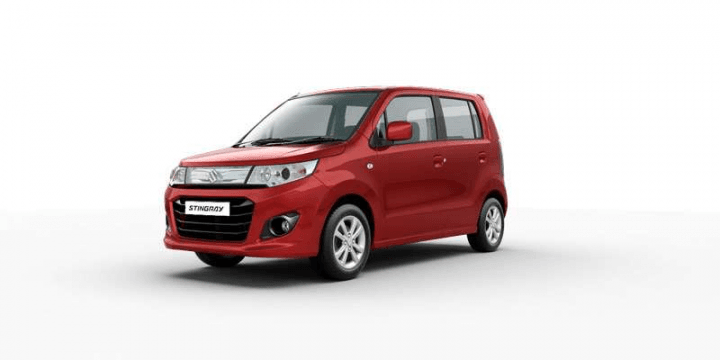 Interestingly, as part of the 2017 model year update, Maruti will relaunch the now defunct Stingray as the new 2017 Maruti Wagon R Refresh. Something we had reported recently. It gets a handful of additional features and a new top end VXi+ trim. 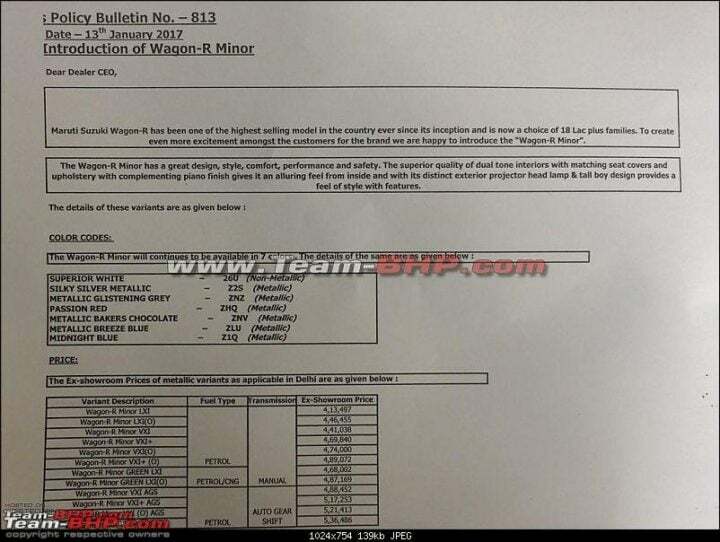 Prices of the new 2017 Maruti Wagon R Refresh start at Rs. 4.13 lakh (ex-showroom Delhi). Read on to know more about the new model Maruti Wagon R.
The 2017 Wagon R gets a new VXI+ trim. This trim features driver side airbag as a standard accessory. The base LXi trim features front power windows, power steering, aircon, etc. Prices have gone up slightly. 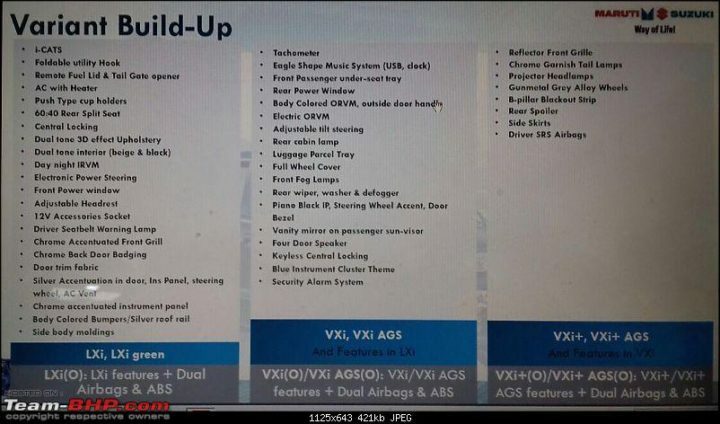 Also, all variants now get optional Dual front airbags and ABS. 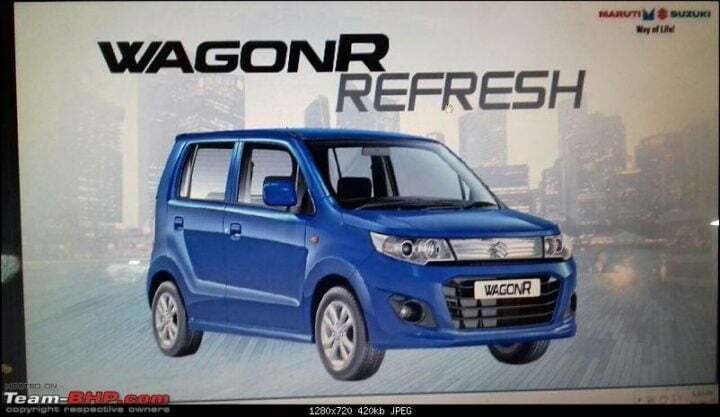 Maruti Suzuki has rebranded the Wagon R Stingray as the new 2017 Wagon R. According to the leaked images, the new model is called the Wagon R Refresh. Essentially, the 2017 Wagon R looks identical to the Stingray variant. It gets sleeker headlamps with projector units and gun metal alloy wheels instead of the silver ones. Also, the badging on the chrome garnish on the boot lid now reads ‘Wagon R’ instead of ‘Stingray’. While the Wagon R Stingray came with black interiors, the new 2017 model comes with a dual tone black beige theme. Mechanically, the car remains unchanged. It continues with the 1.0 K-Series engine that is high on performance and fuel mileage. However, don’t be surprised if Maruti tunes the motor to extract even higher average mileage. The 2017 Maruti Wagon R will be sold until the advent of next generation model in 2019. Maruti could tune the 1.0 K series engine to extract an even higher fuel average mileage. Expect up to 16 KMPL in city and 22 KMPL on the highways. The 2017 Maruti Suzuki WagonR also offers a CNG option. The familiar 1.0 L K Series petrol continues to power the hatchback. However, Maruti is likely to re-tune it to offer a higher fuel mileage. This engine pumps out a max. power of 67 BHP and a peak torque of 91 Nm. It comes mated to a 5-speed manual transmission. VXi and VXi+ trims get and optional 5-speed AMT as well. Additionally, Maruti is also offering LXi(O), VXi(O) and VXi+(O) trims that add dual front airbags and ABS to the list of features. Stay tuned for more updates and images of the new 2017 Maruti Wagon R Refresh.